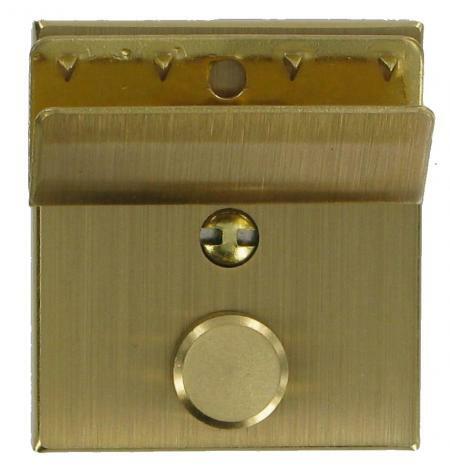 This replacement brushed brass key lock suits many soft briefcases. It is brass and measures 41mm x 37mm x 4mm. Supplied complete with all parts needed for fitting, including clench on hasp and back plate for lock.